E85 with its 105 octane rating and high tolerance to detonation is superior to premium pump gas and equal to and in most cases better than 110 octane race Gas. E-85 Carbs have picked up a tenth of a second and 2 to 3 miles per hour in the eighth mile after switching to E85 from 110 race gas and the engine runs 20 degrees cooler. 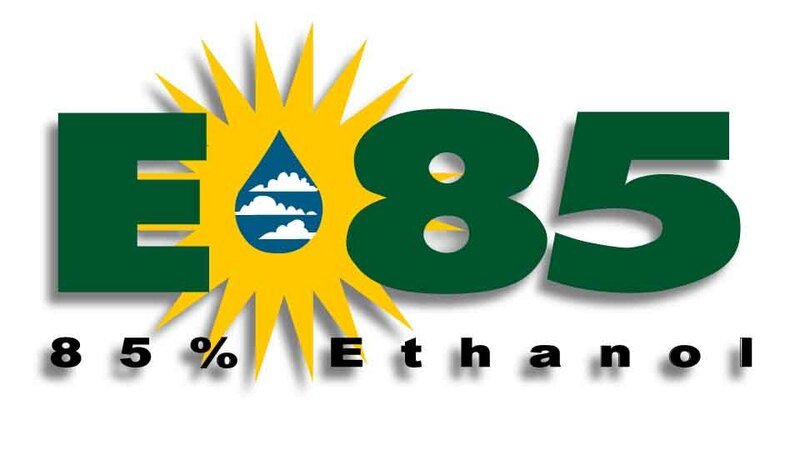 *E85 is a renewable fuel source that is also environmentally friendly. Its performance is comparable to race gas at a fraction of the cost. *Your engine will run cooler and your ETs will be less affected by atmospheric changes. *E85 is not corrosive like methanol and does not leave carbon deposits like gas so maintenance is reduced across the board. *With the proper tune-up your oil stays looking like new. *Ethanol and Methanol fuels have an excellent intake air charge cooling effect. *Ethanol (grain or ethyl alcohol) is a biofuel made through the distillation of renewable resources like corn, sugar cane and switch grass. *This is the same process they use to make alcoholic beverages like liquor. *Fuel ethanol is 180 Proof when produced. 15% regular 87 octane gasoline is added to E100 to add a little lubricant as well as ease the initial cold start up. Methanol (wood alcohol) is produced through a chemical process. *By its nature methanol is more corrosive and provides 35% less energy than E85 so you have to burn 35% more of it to make comparable power. E85 cost the same or less than regular unleaded gasoline, methanol cost $4.00 – $5.00 a gallon. You can find E85 in any area by logging onto http://www.e85fuel.com/. Click on your state for a list of stations that carry it. CALL THE CARB GUY FOR QUESTIONS & PRICING ON E-85 CONVERSION . 909-673-1180 OR EMAIL AT performancecarb@gmail.com.